African American studies is a major that studies the history, culture, sociology and religion of African Americans and their descendants. Classes in the major look at the African American experience and the effect of society on them and their effect within society. You will study major figures such as Martin Luther King Jr., Rosa Parks and even modern-day figures like Barack Obama and Oprah Winfrey. The important aspects you learn in these classes will lead you to careers in education, non-profit organizations, media and communication and even politics. Keep reading for the top 10 schools for African American Studies majors. Choose from four areas of study with UNC’s African American Studies major: history, ethnography, socio-cultural issues or African language. And at UNC, you do more than read African American Studies; you can immerse yourself in it. UNC’s study abroad program in Malawi, Africa works with the Malawi Ministry of Health to design programs and identify innovative and affordable methods to control the spread of HIV and STIs. UNC faculty Afroz Taj and John Caldwell founded the study abroad program 20 years ago. The UNC Malawi Project has helped strengthen health systems in Malawi. But UNC understands not every student can travel far and wide. At the Research HUB, Professor Maya Berry planned virtual field trips for her students so they could explore Cuba using Liquid Galaxy and Google Maps. UNC’s Department of African, African American, and Diaspora Studies also hosts an African Diaspora Fellows program for middle and high school teachers. Dive into every aspect of African American history in classes like Blacks in American History, History of Mississippi, Historiography and Black Women in Southern Culture. Jackson State’s Department of History and Philosophy offers a diverse faculty that enriches students in the culture, like Dr. Robert Luckett. And if you snag a set in Dr. Luckett’s class, you’ll likely get a glimpse of his genius by reading his book, “Joe T. Patterson and the White South’s Dilemma.” He teaches problems in American History and the Civil Rights Movement in Mississippi. Classes like these really portray the lives of African American people of that time and exemplify how Jackson State diversifies its program. Jackson State’s History Club hosts events like the Black Excellence in Film Festival to create a sense of community among the students on campus. This all-women historically black college (HBCU) campus invites students to pick up a minor in African Diaspora & The World. The program explores the contributions of Africans and their descendants to the creation of the world. Classes like Art and Culture of the African Diaspora and Survey of African American History analyze diasporas and how they relate to the migration of African Americans. On the social scene, Spelman students get involved with Greek life organizations like Alpha Kappa Alpha, Delta Sigma Theta and Zeta Phi Beta. These three organizations, founded by African American college students, shows the bravery of the women who founded them and gives a sense of leadership and sisterhood to anyone who joins. 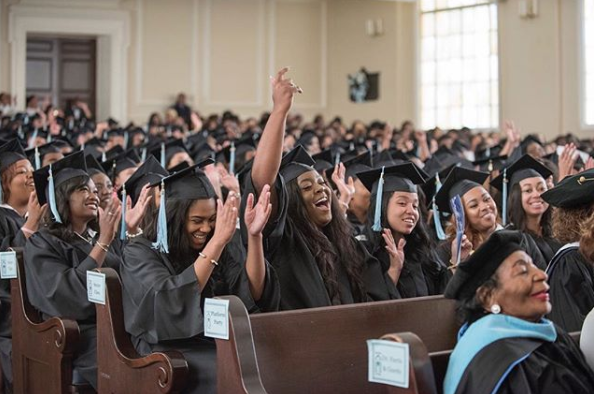 Students can explore African American history in and out of the classroom at Spelman College. 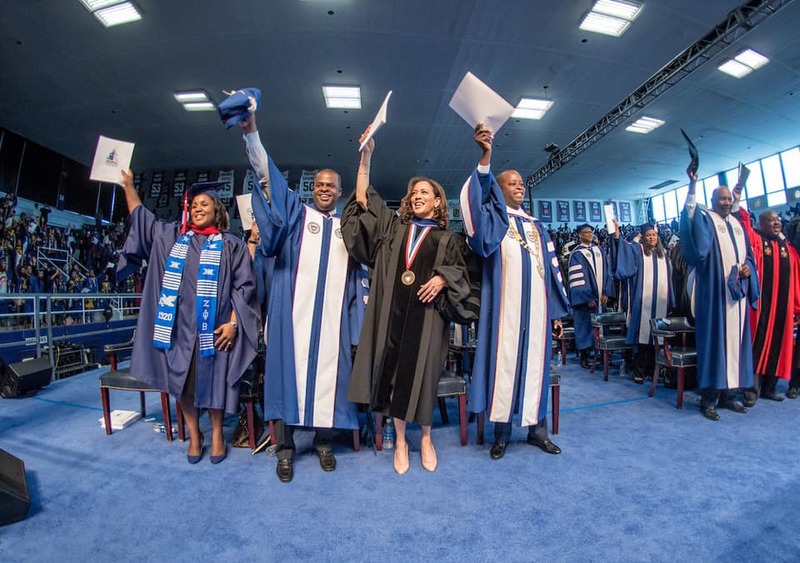 Howard University made history for African Americans before it started teaching it. Established in 1867, this HBCU sits in Washington, D.C. Students can earn a bachelor’s or a master’s in African Studies. Then they can study at the Founders Library, the leading research library on African American History, named in honor of the 17 men who founded Howard University. The Moorland-Spingarn Research Center, one of the world’s largest and most comprehensive collections of documentation on the history and culture of people of African descent, also calls The Founders Library home. Howard’s Center for African Studies offers studies tons of study abroad opportunities in Nigeria, Kenya and Tanzania. But first they can apply for the Foreign Language & Area Studies Fellowship, which supports students who want to study African languages like Somali, Yoruba, Zulu and more. In 1969, The Africana Studies & Research Center at Cornell became the birthplace of Africana studies. It also features the John Henrik Clarke Africana Library, housing an expansive collection of African history and culture. Now, students can go beyond a bachelor’s and go as far as earning a Ph.D. in Africana Studies. 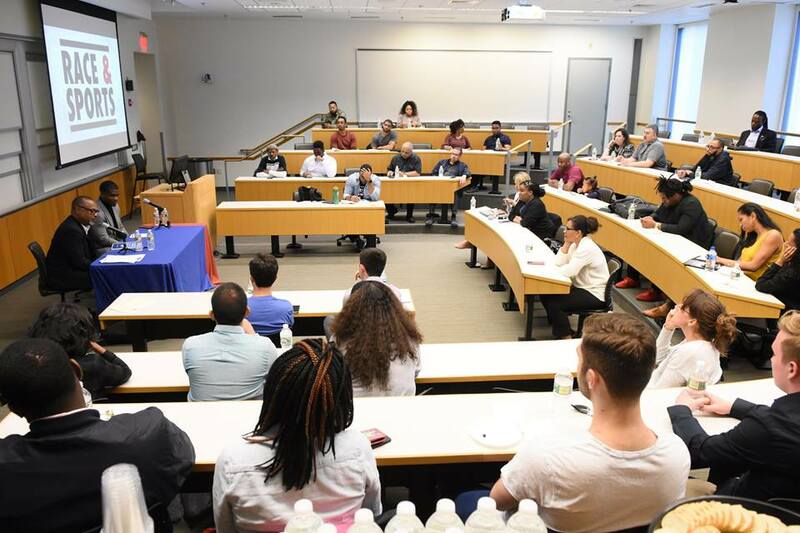 Recently, the university has created programs and courses that discuss topics such as Darfur in Sedan, Race and the Presidency, and the Deaths of Trayvon Martin and Rachel Jeantel. Students can also dive into social topics in classes like Black Queer Studies and Women in Hip Hop. Of course, Cornell also values history, offering seminar about Underground Railroad seminar. Africana Studies students at Cornell graduate and become Rhodes Scholars, Harvard Law professors and more. Duke University’s African and African American Studies Department sends students to study abroad in Uganda, Tanzania, South Africa’s Durban and Cape Town, Rwanda, Kenya and Ghana. Back in North Carolina, students can earn a B.A. in AAAS or minor in it. Professor Stephen Smith said, “Our department is Duke’s center to interdisciplinary teaching and scholarship on Africa and people of African descent.” At the John Hope Franklin Research Center, students can choose to study topics like gender and sexuality, critical race theory and slavery in the Atlantic world. The JHF Research Center collects and preserves the published and unpublished works of the history of Africa and people of the African diaspora. A faculty member oversees each topic to help students out along the way so they don’t feel completely lost. FAMU prepares its African American Studies students for a career in teaching, social services and academia. The students at this HBCU are proud to call themselves Rattlers. Senior Jessica Brinson said, “There’s a reason we sit on the highest of seven hills in Tallahassee.” FAMU offers not only culture but community on campus. 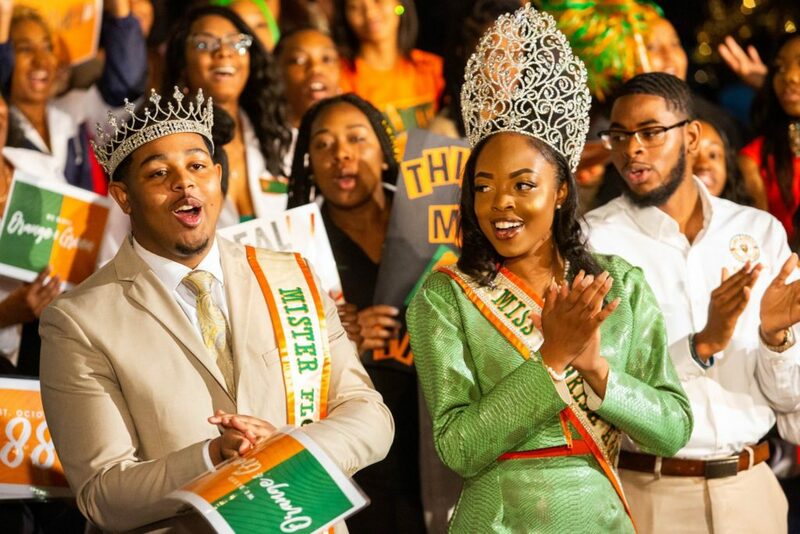 More than 3,000 students attending FAMU actively participate in campus organizations like the African Student Association, the Big Brother Little Brother Mentoring Program and the Black Law Students Association. By joining one of the many campus organizations, students of the major really get a sense of the unity and bonding taught in African American studies classes. Back in the classroom, students can earn a B.S. in African American Studies or opt for a minor. Within these programs, they can choose electives that further their interests. Electives include everything from African Art and Jazz History to Black Psychology and The Civil Rights Movement. Major in African American Studies at the same university that our first African American First Lady, Michelle Obama, went to for her undergrad. Cornel West, an American political activist, social critic and author, also studied at Princeton. The Department of African American Studies stays on trend with current events by hosting panels and events catered to African American History and to the African American community on campus. Reflections on African American Studies, an annual lecture, highlights a specific lecture for students. In 2015, Professor Cathy Cohen presented “From Ferguson to Flint: Race, Neoliberalism and Black Politics Today.” Professor Wallace Best said, “The Reflections of African Studies offers an opportunity for the Princeton community to reflect on the current and the future direction of the field of African American Studies.” Princeton also hosts the AAS 21 Podcast, where the Department of African American Studies discusses books and ideas. Not a Princeton student? You can still sit in lectures by incredible professors with the Community Auditing Program. Harvard’s African and African American Studies program has schooled college students for more than 40 years. And they learn about African history from the people making it—Harvard’s Center for African Studies brings in guest speakers like the President of Sierra Leone, Julius Maada. Department chair Lawrence Bobo said, “As a university we are dedicated to the pursuit of one of the most inspiring missions of human letters, the African American experience. We pride ourselves as being one of the innovators in this field.” The Social Engagement Initiative allows students to study the elements of real–world issues in a more hands on approach. Students in the program must come up with a thesis that requires three parts: essay, visual documentary and policy recommendations. For the school-wide language requirement, students can choose from 35 African languages with Harvard’s African Language Program. As part of the program, students showcase a live performance as a part of the ALP Theater Night. Alyson is a junior at Florida State University studying editing, writing, and media. Her hobbies include wasting time on social media, binge watching TV shows, and of course writing content for College Magazine.